Always an eclectic mix here at Life of a Catholic Librarian, no? Today I discuss the new novena for August, my writing progress, a new endeavor with Catholic Mom, and my love of scented candles and wax. Shazam app to discover music titles. St. Jane Frances de Chantal novena. Catholic Mom Book Club for the fall, and Divine Mercy for Moms. My contributor page for Catholic Mom. What's going on with you, dear listener? Are you praying the novena? Do you have a novena suggestion for September? 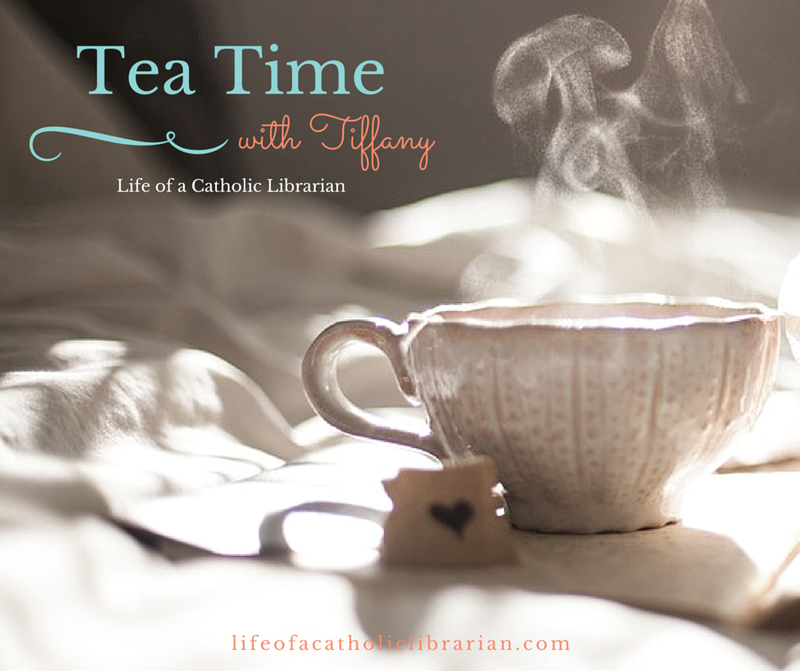 Going to participate in the Catholic Mom fall book club? Do you love fragranced wax as much as I do? I would love to hear from you! I'm not tech savvy either. I imagine in a few years my children will be having to help me out because I'm one of those who white knuckles through what lame out-of-date program I have instead of looking for an app or other program that can do things for me. My email is already sending me messages about updating and I keep thinking "didn't you just change your format?". I love scents, but I'm a bit weird about them because certain scents can trigger a migraine for me (think incense and yes, I try to sit away from it when they use it for special occasions). Most waxes aren't that strong. Thanks for the Divine Mercy for Moms tip. My Bible study is considering it and if they don't choose it I'll have to read up on Catholic Moms. Hi Delta! ooooh, yes, you have to be careful with scents with migraines. The wax scents are generally softer, but some are stronger than others. I know that something that is in certain perfumes gives me headaches. Not pleasant. I hope that you enjoy Divine Mercy for Moms! Lovely fall read, whether with your Bible study or Catholic Mom. :) You could maybe combine both!